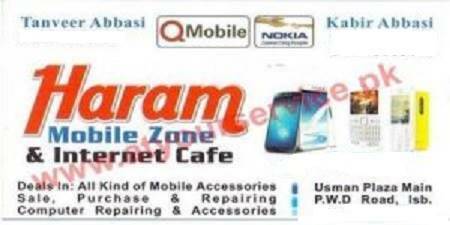 Haram Mobile Zone & Internet Cafe is located in Usman Plaza, PWD, Islamabad. We deal with the sale, purchased and repairing of all kind of mobiles and accessories. We also provide computer repair services.